This entry was posted on June 8, 2011 by Molloys. It's a day you shouldn't forget and with Molloys great range of Father's Day gifts you'll make your Dad a very happy man on June 19th. Click here to see our full range. If your Dad's a beer man we have a range of Beer of the World Gift Packs that are the perfect present. 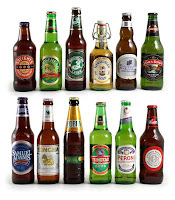 Starting at only €31.99 (including delivery) we have the 12pk Beers of the World 330-375ml gift pack. We have 5 varieties in total with our English Ales, Bitters and Stouts 12pk 500ml at€47.99 a big favourite.